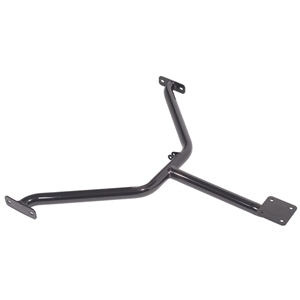 Center g-Connector Support for 64-70 Mustang and 67-70 Cougar (Convertible) - Tubular support brace spans the undercarriage, connecting the driver- and passenger-side frame connectors, and factory center reinforcement plate. Subframe connectors (TCP SUBFC-02) required for installation. Note: May require custom exhaust installation.